As this is billed as a collaboration between Matthew McConaughey and Eddie Russell, I'm guessing I'm supposed to start this post with some famous movie quote, something along the lines of "alright, alright, alright" or some other such piece of pop culture detritus. I like Matthew McConaughey as an actor. I've liked him in most of the roles he's played. I was a bit curious when he came on as "Creative Director" for Wild Turkey, but he seems to have made a couple of good commercials. I paused a bit when Wild Turkey announced a collaboration between said Creative Director and Eddie Russell in the form of a new bourbon. I love Wild Turkey, and I wasn't sure what an actor could bring to a brand that was built under Jimmy Russell. However, the bottle was only $36, so I decided to find out. Details: 43% ABV. 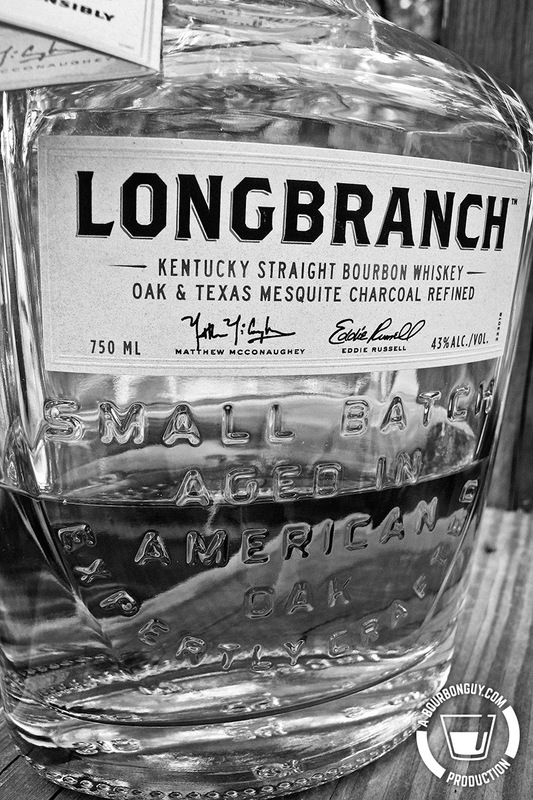 Filtered...err...Refined with an oak and mesquite charcoal. Mouth: Thin mouthfeel. A lot of baking spices, wintergreen. Finish: Full-mouth finish with a nice lingering tingle. Notes of mint and baking spice. Thoughts: This is a version of Wild Turkey that turns down the "kick" but turns up the spiciness. I don't know that it will appeal to Wild Turkey die-hards, but it would probably appeal to those who are "Wild Turkey Curious." I like it. It certainly isn't my favorite Wild Turkey expression. It's better than the 81 proof. But I like 101 and Rare Breed much better. But then, I've heard of this compared to Old Grand-Dad 114's Basil Hayden. I think that is a good comparison. It's got a lot of the same flavors as it's more assertive brothers, but is accessible to the newcomer. And much like that, if it gets more people in the door, I guess it's done it's job.